If you have never heard of open source: OpenHatch runs education events and maintains free, web-based learning tools, to help people get involved in collaborative software development; and we work with computer programming meetup groups to help them run more newcomer-friendly and gender-diverse events. These meetup groups are educational groups that meet free of cost to educate the public on computer software programming topics. If you have: OpenHatch is a non-profit organization with the goals of lowering the barriers to entry into the open source community and increasing diversity. We achieve these goals through a number of initiatives. About the non-profit: We are a tiny Massachusetts not-for-profit organization, supported by dozens of volunteers who help maintain our web technology, which we share freely with the world under an open source software license, supported by dozens of volunteers who help make our free events possible, and financially supported by generous corporate sponsors and individual donors. Our sponsors page lists the past 12 months' sponsors. You can use our interactive learning tools for free, on the web as our training missions, to get experience with common tools of open source development. OpenHatch has an active IRC chat room (which you can join free of cost) #openhatch on Freenode, where we mentor a bunch of new contributors, both on OpenHatch and on other projects. It's a great place to ask questions and get help working on bugs in a friendly, low-pressure environment. We've helped many people contribute to open source projects for the first time through this channel. You are invited to join us! Open Source Comes to Campus is a series of workshop run on college campuses to help teach students the community knowledge and technical skills to participate in globally distributed software projects. These events are free of cost, supported by donations to OpenHatch. We are emphasizing organizing these with women in computer science groups. The Boston Python Workshop (described below) is one example of an affiliated event. These usually free-of-cost events are not run by OpenHatch, but its independent organizers decided to affiliate with us -- for more about that, read the Affiliated events page. the Boston Python Workshop mission. 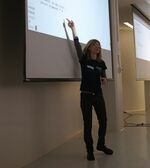 a photo slideshow from the workshops. In 2013, OpenHatch received a grant to help pay for staff time to work with these independent groups and other programming meetup groups from the non-profit Python Software Foundation. If you want to volunteer your technical or other skills for an open source, visit the project rolodex and indexed bugs that help match open source projects and volunteers. You can browse projects and bugs based on your interests and desired programming languages. In particular, we have "bitesized" bugs that have been identified as good, small tasks for new contributors. 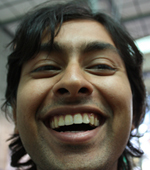 Asheesh loves growing camaraderie among geeks. In the past, he has chaired the Johns Hopkins Association for Computing Machinery and taught Python classes at Noisebridge, San Francisco’s hackerspace. He realizes that most of the work that makes collaborative projects successful is hidden beneath the surface. He has volunteered his technical skills for the UN in Uganda, the EFF, and Students for Free Culture, and is a Developer in Debian. He has worked at Creative Commons and the Participatory Culture Foundation as a software engineer, designing and scaling web systems. Today, he lives in San Francisco, CA, working on OpenHatch.org. Karen is a front-end developer at Lincoln Loop. In 2012 she graduated with a master's degree from UC Berkeley's School of Information, with interests in Python-based web development, user experience design, free software communities, and technology law and policy. She has been involved with OpenHatch since its startup incubator days in 2009, contributing to the project's design, codebase, and mission. She served previously on the board of Students for Free Culture from 2005 to 2008. Deb works at the intersection of technology and social justice. She has over fifteen years of non-profit management experience and got involved in the free software movement about five years ago. She currently splits her time between MediaGoblin -- a federated media-hosting start-up, Open Hatch -- a non-profit dedicated to identifying and mentoring new free software contributors, the Open Invention Network, and Harvard, where she is slowly pursuing a graduate degree in Information Technology. She lives in Cambridge, Massachusetts. 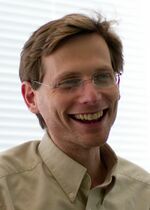 Mike Linksvayer has served as Vice President and CTO at Creative Commons, where he started in 2003. Previously he co-founded Bitzi, an early open data/open content/mass collaboration service, and worked as a web developer and software engineer. He lives in Oakland, California. Jessica wants more people to be excited about and science and computing. 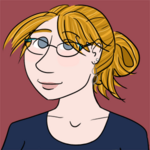 She is an organizer for the Boston Python user group, lead organizer for the Boston Python Workshop, and a mentor with several Science, Technology, Engineering, and Mathematics (STEM) outreach initiatives at local schools in Cambridge, MA. She is a contributor to several open source projects and enjoys helping bring new contributors into the community. Shauna was OpenHatch’s Program Director. She ran Open Source Comes to Campus, a workshop series held on college campuses introducing students to open source. She is also active in the government transparency/civic tech community and maintains and writes for the Open Science Collaboration blog. Want to contribute to OpenHatch? Want help contributing to another open source project? We'd love to hear from you. This page was last edited on 28 July 2015, at 20:36.